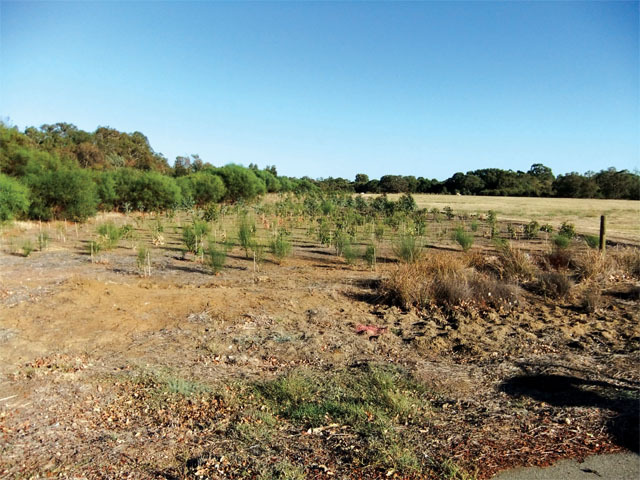 During 2007 SERCUL agreed to host the Bowra & O’Dea Memorial Groves for the years of 2008 – 2015, with permission from the Western Australian Planning Commission, the landowners. This partnership has now been extended to 2019. The partnership also includes local native nursery, Trillion Trees, located in Hazelmere, who supply 4,000 native plants each year. 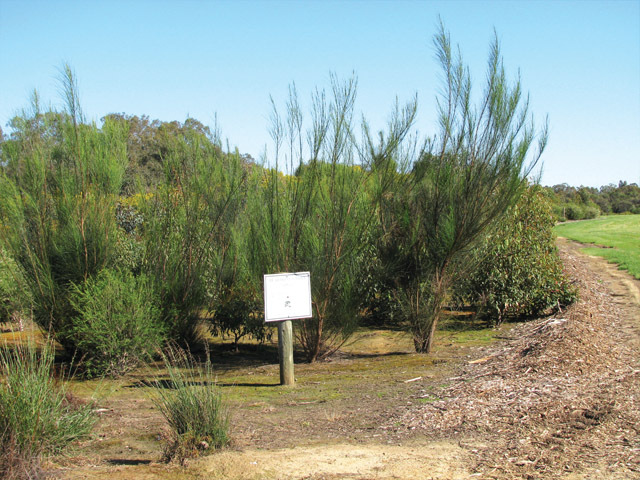 The Memorial Groves are planted each year by Bowra and O’Dea, Trillion Trees and SERCUL volunteers and the sites are maintained by SERCUL staff. Any individual tree or shrub, within the year-appropriate site, may be dedicated to a loved one who has passed away and has had their funeral through Bowra & O’Dea. This involves the placing of a plaque from Bowra & O’Dea. 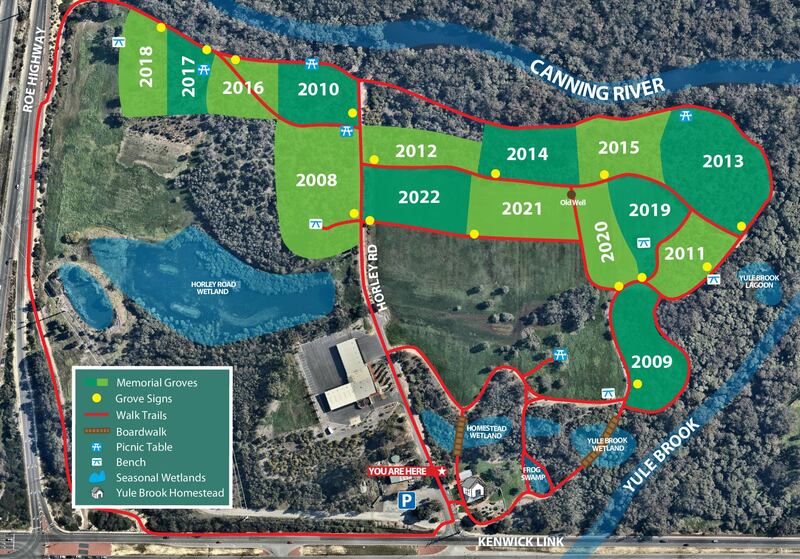 The Memorial Groves are also restoring habitat to parts of the Canning River catchment so make a pleasurable place to come and visit. The Groves can be a place to quietly contemplate and enjoy while still being located close to the city.